Kinesiology is a remarkable system of muscle monitoring that uses a holistic approach to achieve balance both physically and mentally in a persons life. It uses light touch, gentle exercise and breathing in a relaxed and comfortable environment whilst you are fully clothed. It utilises eastern energetic healing knowledge combined with western medical science via gentle muscle monitoring to assess and help achieve good health. Kinesiology access’s the bodies own innate healing wisdom and uses this to achieve its goals. 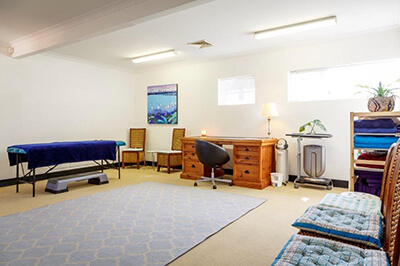 Catherine Gleeson our Kinesiologist is one of Perth’s most experienced practitioners who over time has learnt and included into her craft those subtle nuances that make a skilled practitioner who they are.